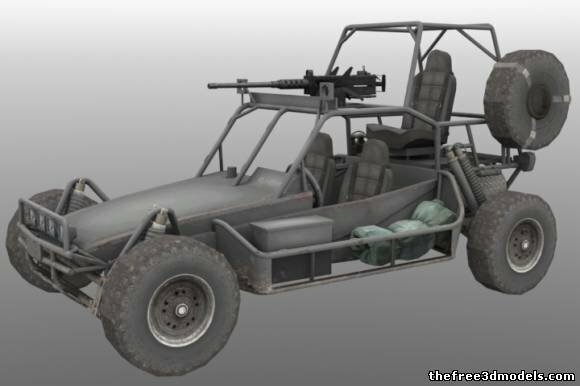 I'm looking for somebody who could import this vehicle into Outerra or create similar in the Mad Max style but with the machine gun possible to rotate 360". Further I need to make the gun works with flying projectiles ( best by realistic ballistic curve ) with the animation of flame from the muzzle and with realistic sound. Then I need to make the visual damage of the vehicle after it's shot and animation of the explosion of the vehicle after it's fully damaged and then the wreck will burn for a while and then it slowly disappear from the map. Lastly I need online multiplayer support so there could roam few players on the map possibly along the AI but not necessarily. Send me your rates for before mentioned tasks you can handle ( you don't need to handle all tasks necessarily ) with time estimation when it'd be done along with your references so I can check it first because I want the game in high quality. I want to make multiplayer game in the style of Mad Max so if there is somebody who'd like to participate on this project then let me know please. I did already just didn't get the reply yet. Just one hint: Rotating the mg 360° doesnt make sense. It would be disturbed by the chassis and facing the mg backwards would aim the gun to the dude on the chair. After cutting him in two pieces. This is stuff for a complete game. You wont find someone for all tasks. And i also have more bad news for you. The devs wont have time for your tasks. So you will have to wait until the development feature is released. I agree with Necro in everything except when he says the developers won't have the time. Most of what he is asking are things that will probably be needed for TitanIM (think of armed Humvees) so I think there is a possibility they may be interested or already working on many of those functionalities. I didnt meant the TitanIM Team with devs. Of course the TitanIM team is working on all of this. But they wont make it for cernuska, so there are no devs who have time for realising his ideas. But as i said. Maybe he get someone for the first two steps. We haven't seen any email from you. Anyway, the reply would be standard - the engine is not yet ready for general (game) licensing, and we are currently only licensing it to some special projects where we are directly participating and providing custom support, and we carefully select these. As for the idea, all game developers are receiving similar requests regularly - usually aiming for a MMO (hardest and most risky of all types of games), usually no experience with game design and programming and therefore no real idea how much something like that takes, and so on. Sure, much of that will be eventually developed, but these are just basic things an engine must have for any game. I love how multiplayer and online functionality is just another bullet. TitanIM develops their own networking, as the requirements and situation is different in closed environment of military simulations - no need to deal with making it hack proof. Networking for a MMO, and one that's not instanced but really supporting a global world, that's very hard to get right. And that's just one part. MMOs are so broad in scope that it really needs a big developer and lots of funds, and it's still the most risky game business. TitanIM develops their own networking, as the requirements and situation is different in closed environment of military simulations - no need to deal with making it hack proof. Is it so vulnerable in their design ? ... true, that they usually use it on isolated networks and under total control of the sets. Also, the frame of the vehicle isnt designed for a modification for 360 capability - a bit too small (not wide enough as probably the biggest issue for that purpose) ... MGs have a lot of back-slash power, so the frame has to cope with it in any angle of operation - the buggy is just designed to keep it clear for frontal fire trough the very suspension its standing on. Unless you want to flip it over with the MG at speeds. There is still a lot of waiting for some of the features ... the pure model-side of it could be done (maybe even some light scripting for handling damage-meshes to switch visible, but still not due to external influence yet - well, maybe some that could be defined trough the vehicles speed behavior would go too (like hitting something that halts you instantly beyond a certain speed)) but you have to be patient till a real fight capable MP comes out.